Hello readers! It has been a while. I’ve missed you. As I am sure many of you can relate, this past winter and spring were a blur. Then summer seemed to fly by and all of a sudden I sit here on August 15th realizing seven months have passed at the blink of an eye. At the risk of sounding cliché – time goes by too fast. I hope to update you with all of my goings-on in successive posts; I have lots of recipes and news to share. 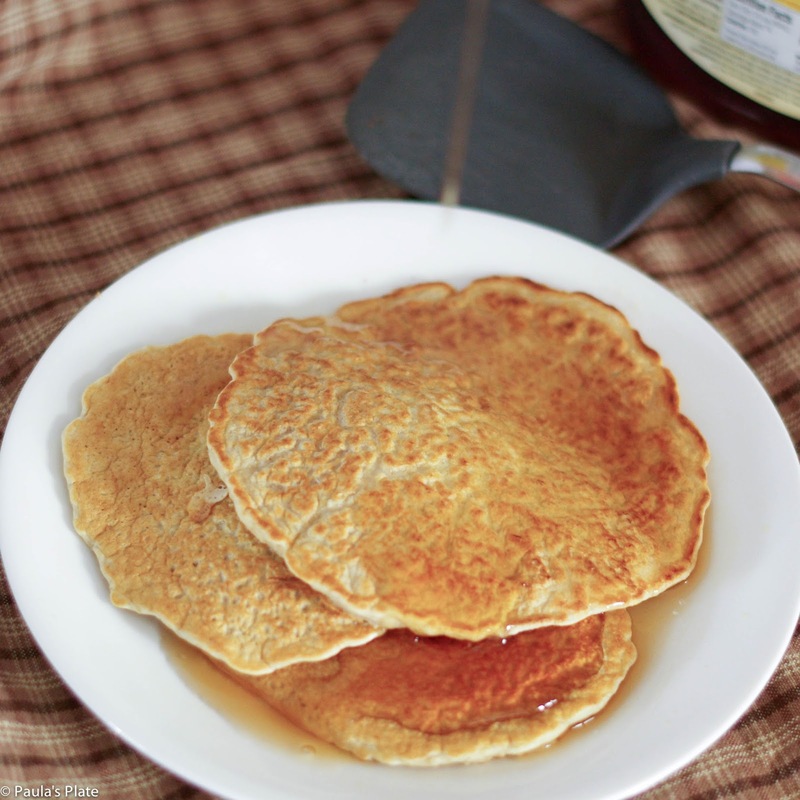 Today I thought you might enjoy my Oat Bran Pancakes recipe, because honestly, who doesn’t want another pancake recipe? This recipe is actually the result of a rather unfortunate incident – it is the silver lining, if you will. Last Wednesday I had an unexpected stint in the ER that resulted in surgery, so the past several days I’ve essentially slept and read in various rooms throughout the house. 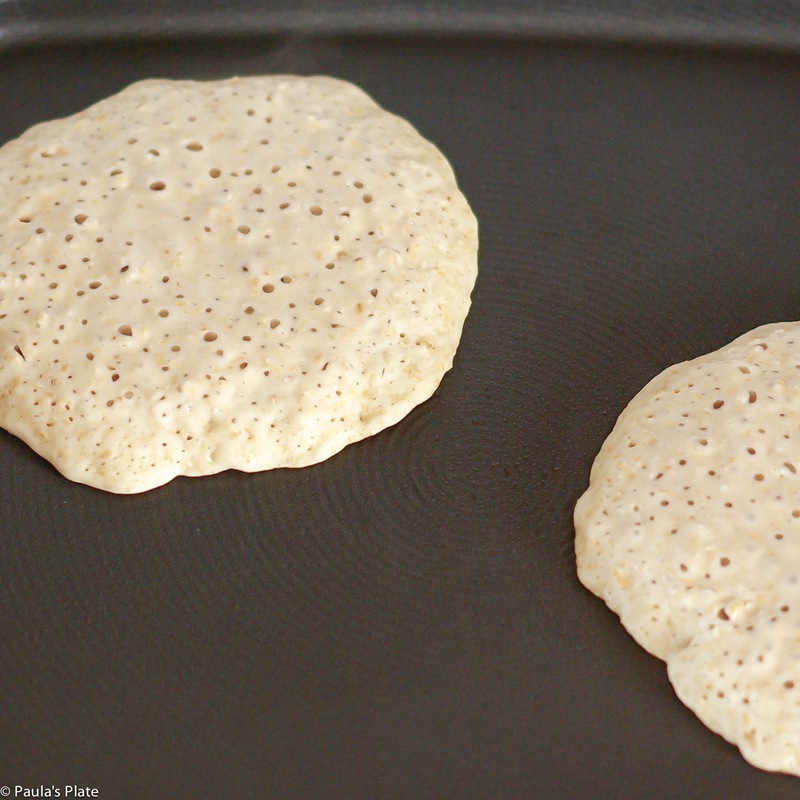 Today, however, my appetite and energy have returned a bit, and the first thing I craved was (of course) pancakes. After making, photographing, and eating said pancakes, however, my energy was drained and I returned to my chair for another nap. This is where I sit now as I write my post. It feels good to be writing again. 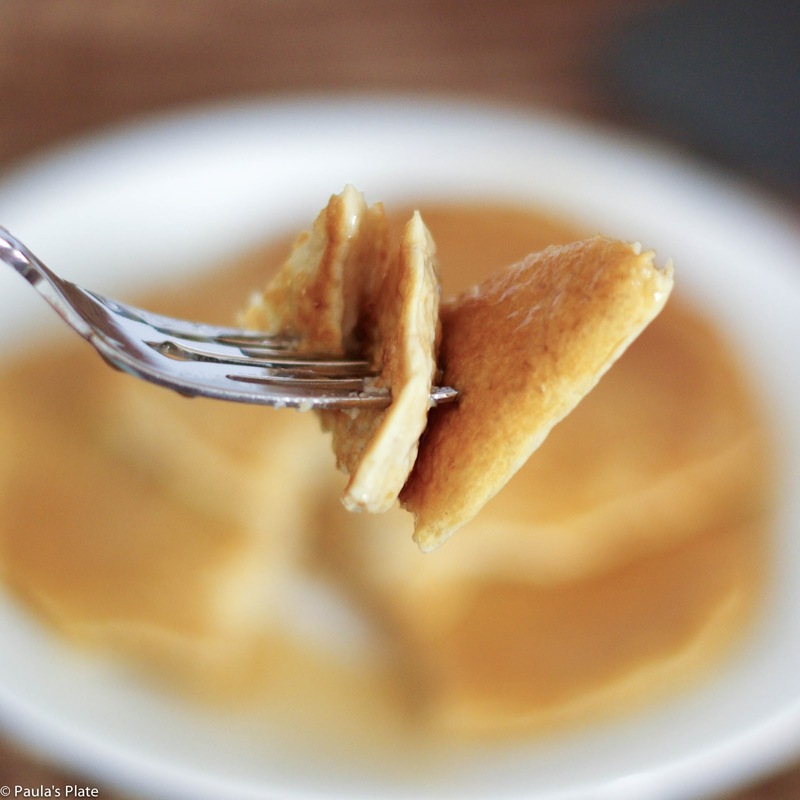 So let’s talk about these pancakes. To put it succinctly, they are incredibly delicious and nutritious and the perfect comfort food. 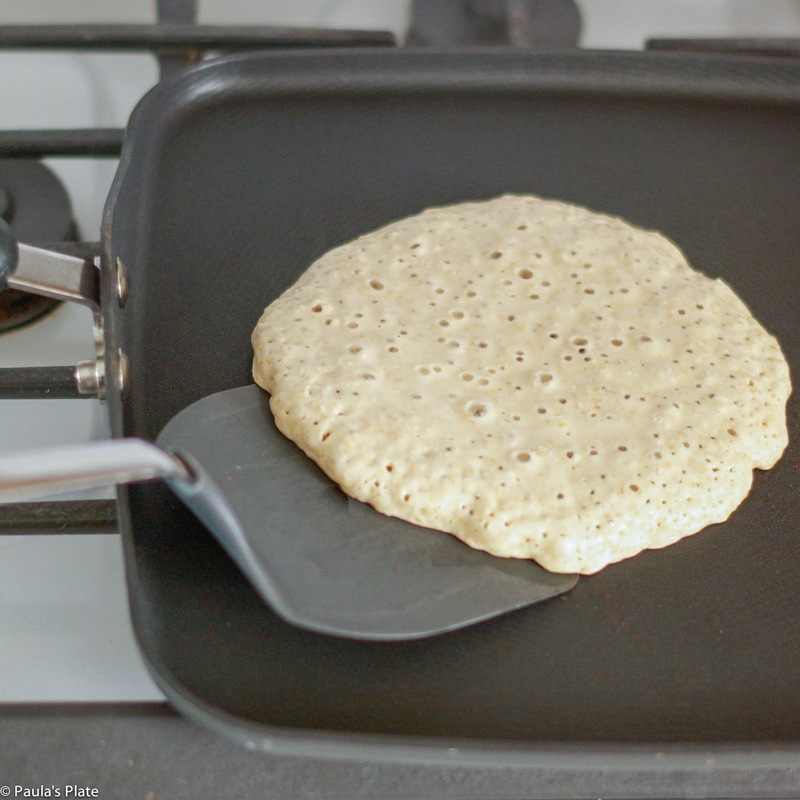 The oat bran provides a slightly nutty flavor and chewier texture, and they brown up beautifully in the skillet. Throw in your favorite berries or a handful of chocolate chips for an extra special treat. Enjoy! Thank you to everyone who has sent me their love, support, and prayers this past week, it means the world to me. 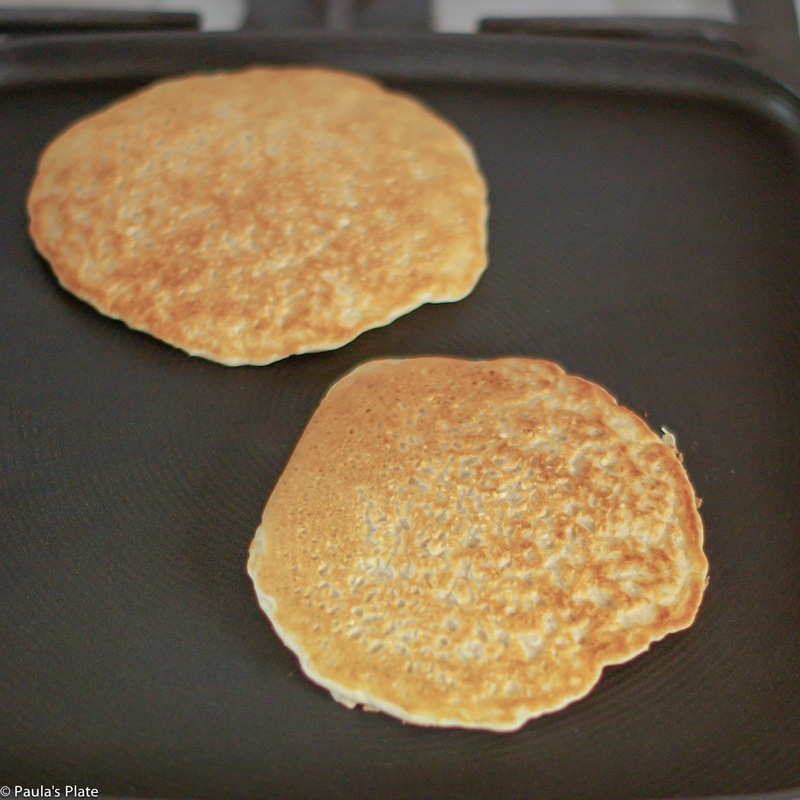 Flip pancakes and cook an additional 1-2 minutes.